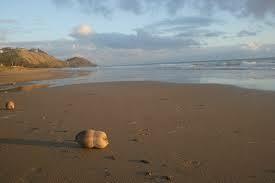 Life is like an empty coconut shell on the tide. Each day the tide takes you out to sea and you bob around. Some days are stormy and you have a tough time staying afloat. Some days are fair and you relax and enjoy the sun shining on your face. Some days you just bob along seemingly without purpose. And every night the waves bring you back to shore. Safe at home until the next day.